Hate crimes against Muslims up since Paris attack. 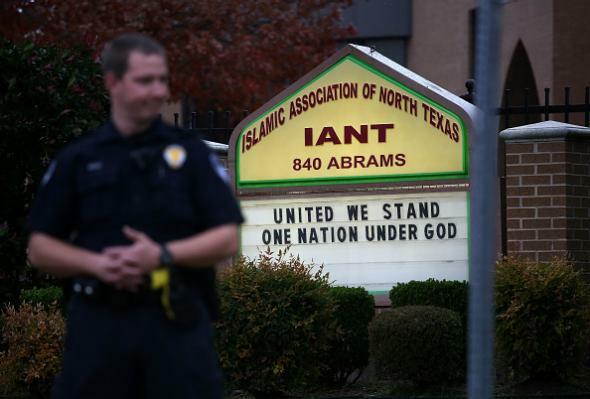 A policeman outside the Islamic Association of North Texas at the Dallas Central Mosque on Dec. 12, 2015. The mosque was the site of an anti-Muslim protest (and corresponding counterprotest). The frequency of the recent attacks has not reached the levels seen in the immediate aftermath of the terrorist attacks of Sept. 11, 2001, when there were hundreds of attacks on Muslims, and some Sikhs mistaken for Muslims, but Mr. Levin said they were similar types of hate-crime attacks.